Overall, this is a good YA novel. You'll come to love the main characters and want to see them succeed. There are a few twists you won't see coming, that start very close to the beginning of the story. For entertainment value and creativity, I'm giving this one 3 out of 5 Golden Bookmarks. 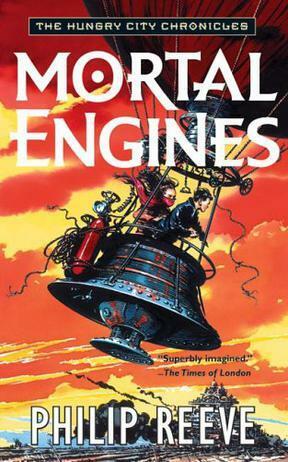 Sign into Goodreads to see if any of your friends have read Mortal Engines. 13.94% "Enjoyable so far, now let's see how this story unfolds." 19.3% "A few word choices seem out of place to me, but it is an enjoyable read so far. I like the characters, they are well done :)"
44.5% "Well, this book gets better as it goes along. I was a little put off at first by the authors style, using parenthesis in places for an omniscient pov and italics when shifting pov the character of Shrike, but I got over it and it works now I've accepted the style."